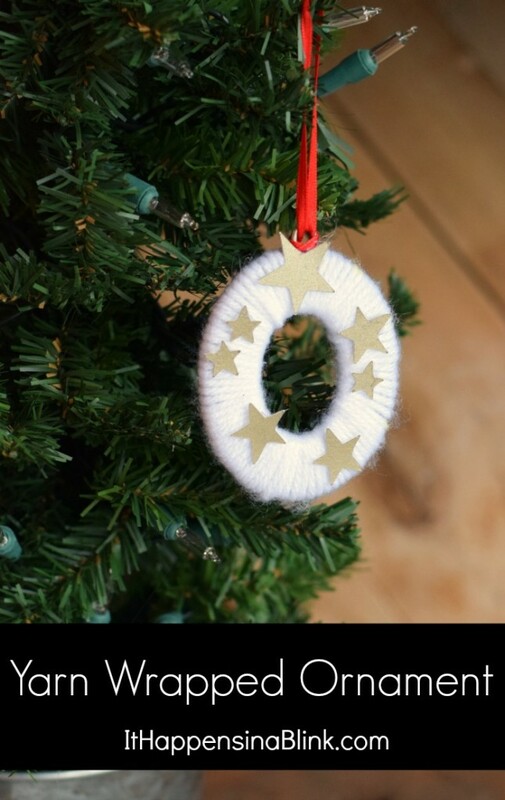 Looking for an unique ornament to give this year? I always try to give personalized photo gifts to grandparents, but I struggle with what to give sometimes. My in-laws display every photo gift that they are given throughout the year (totally nothing wrong with that), so I don’t want to give them large photo gifts that they feel obligated to keep on the mantel all year long. Today’s craft fits the bill as a gift AND a piece of decor. 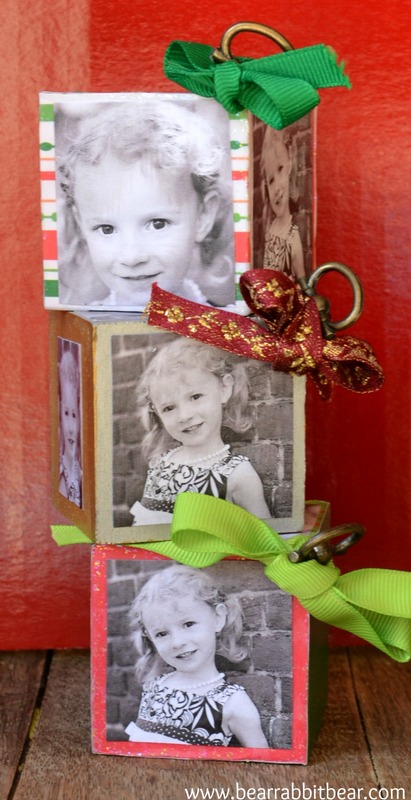 In the even that the in-laws decide to display it all year, these DIY Photo Block Ornaments only take up a little bit of space. Order from a catalog and ornaments like these may cost a pretty penny. The I’ve discovered that with a few craft supplies, I can make my own photo gifts that look like I ordered them from a catalog (do people order things from catalogs anymore?). As someone who likes choices, I thought my readers might like options, too. 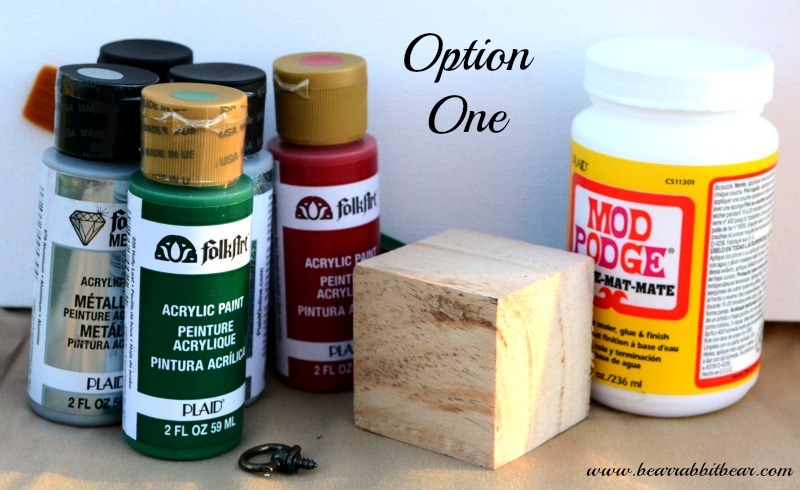 So I’m sharing two options for these Christmas Photo Block Ornaments. Paint the wooden block. I used metallic colors that will shimmer under the Christmas tree lights. 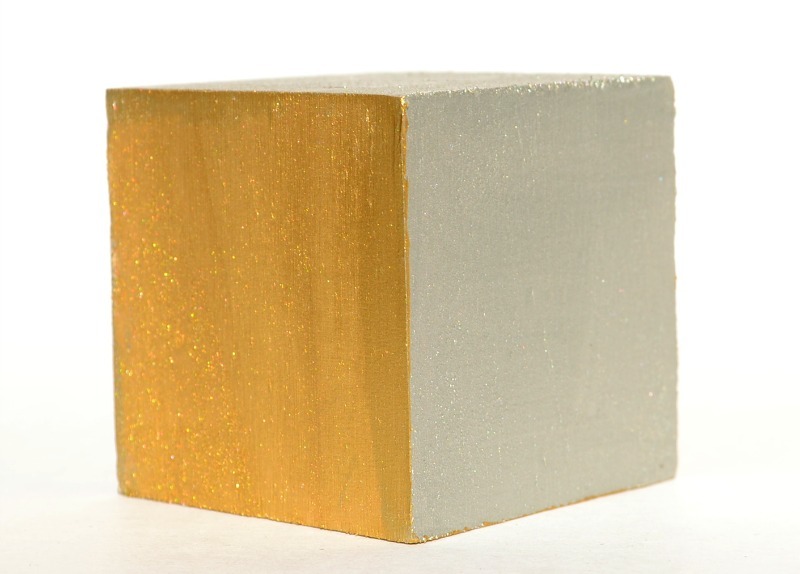 I painted three sides of the block silver and three blocks gold. Let dry completely. Optional step: For more glitter under the lights, apply Folk Art glitter paint over the paint. 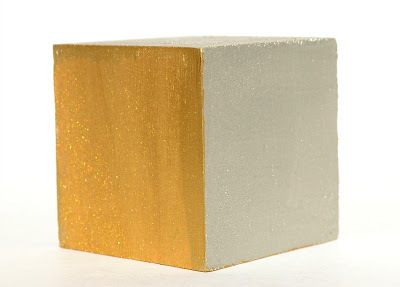 Use silver glitter over the silver paint, and gold glitter over the gold paint. Now take the screw-in hook and CAREFULLY screw it into one corner of the block so that the block and photos are on a diagonal. This part can be very tricky. Be sure to make sure to screw down into the block- do not let the screw portion come through the side. A little splitting of the wood is ok- we will cover this in the final step. Print the photos for the block on a paper printer. Be sure to use cardstock, not photo paper. I tried to use photo paper at first, but even after drying overnight, the ink smeared when I attempted to apply the Mod Podge. 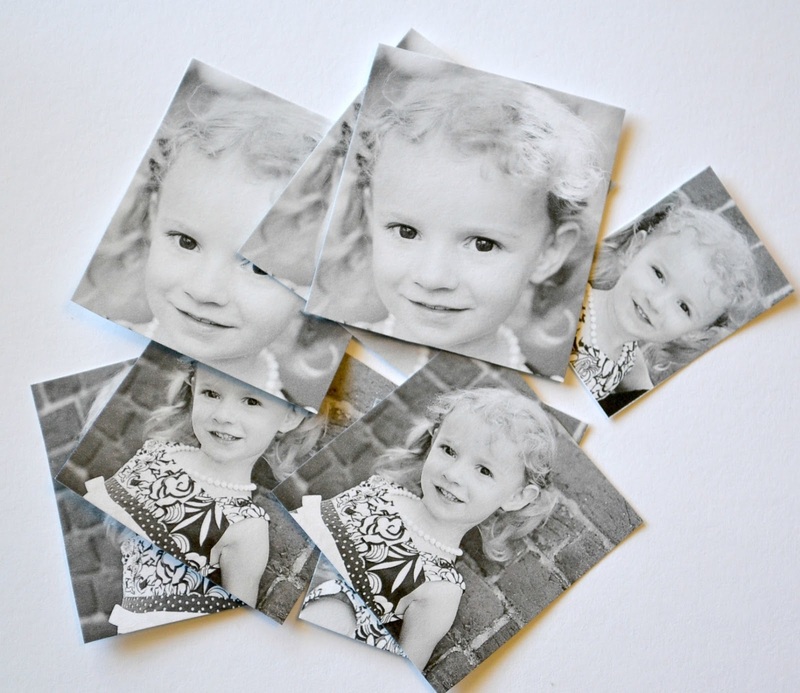 The photos on the cardstock did not smear with normal Mod Podge application. Let the photos dry completely. I printed wallet sized photos. 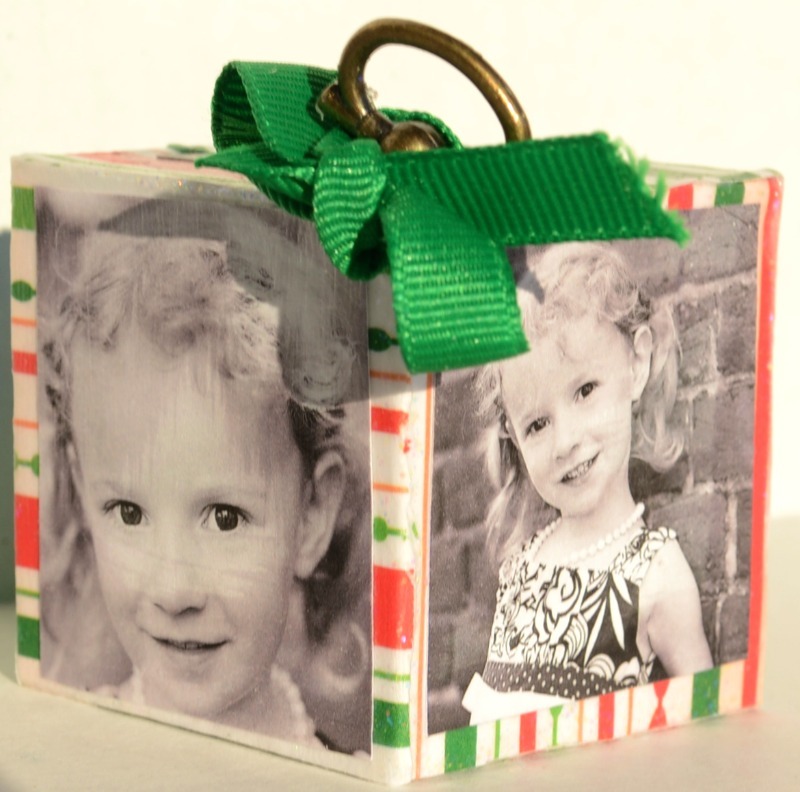 Trim down the photos to allow each photo to sit in the middle of each square with a portion of the painted block showing on each side of the photo. Apply Matte Mod Podge to the middle of one square on the painted block. Press one photo into the middle of the block. 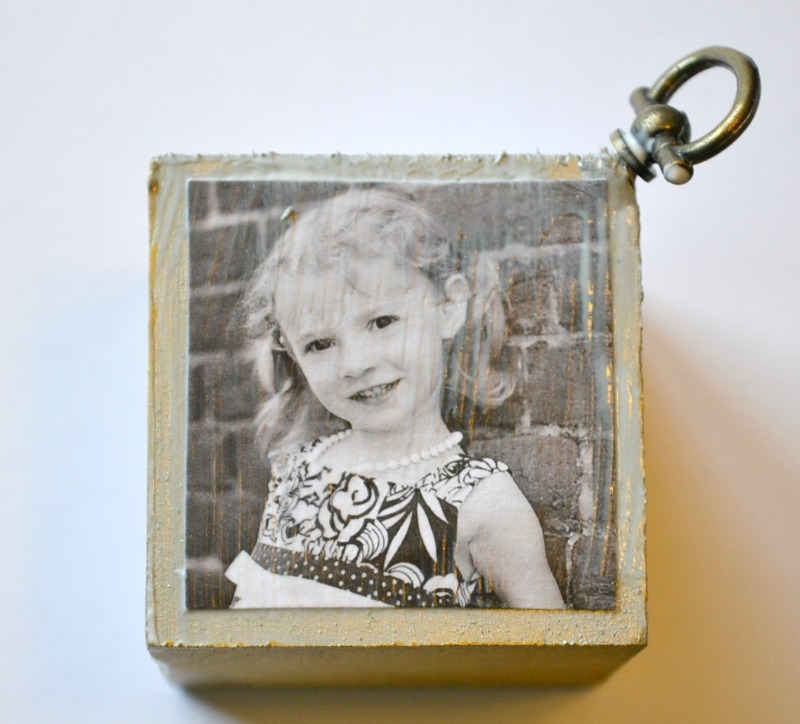 Use the Mod Podge Professional Brayer to smooth the photo and press it securely to the block. 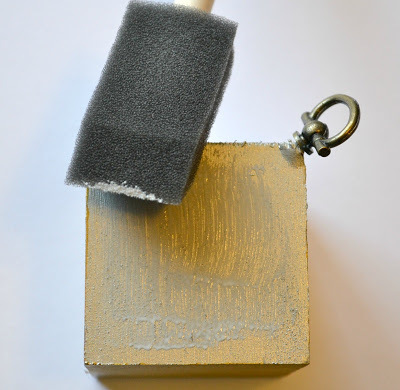 Let this dry completely.Seal the photo by applying a layer of Matte Mod Podge (or try the Antique or Gloss for a different finish) with a small sponge. Repeat the step with each square on the block. Add a photo to each side, or leave one side open and add a date, name, etc.! With a length of ribbon, tie a bow around the base of the screw. This serves as not only a pretty embellishment, but it will also cover any splitting that may have occurred on the block. 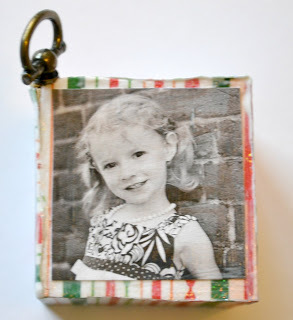 **For these papered photo blocks, I tried the screw-in hook two different ways. I placed the hook in after applying the paper, and then I did another block where I placed the hook in as the very first step. I discovered that when placing the hook in as the very first step, the hook was easier to insert and did not ruin any of the paper. However, I then had to cut the paper around the hook. Either option for inserting the hook is sufficient, but I did like inserting the hook as the first step because it saved the paper from getting torn. Apply a layer of Mod Podge on one side of the photo block. 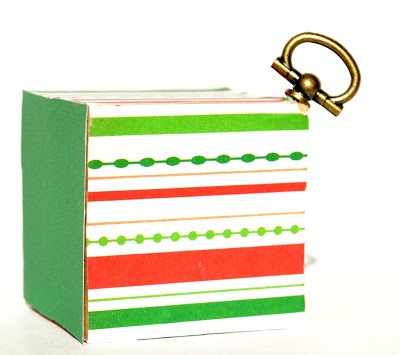 Lay the block on the wrong side of the scrapbook paper. Let dry for a few minutes. Use a craft knife to cut the paper as close to the wooden block as possible. Cut around the corner hook, if applicable. Repeat with all six sides. Let dry. 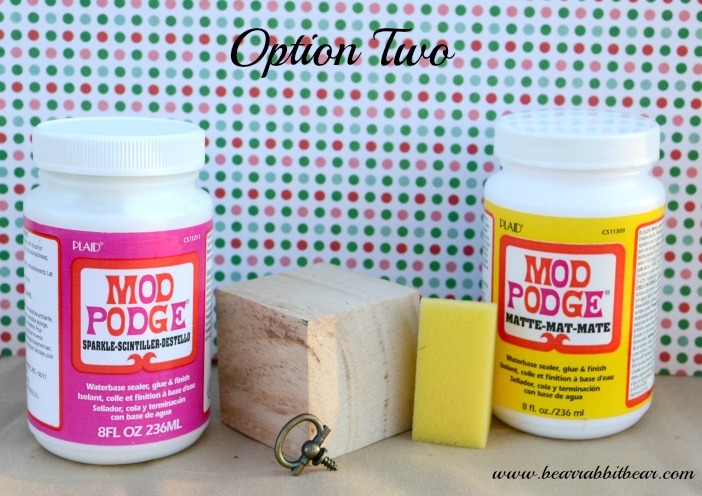 Optional: Apply Sparkle Mod Podge to the scrapbook paper for extra sparkle. Let dry. If you did not insert the hook at the beginning of the project, do it now. Make a few (or several) for parents, grandparents, and family this year! 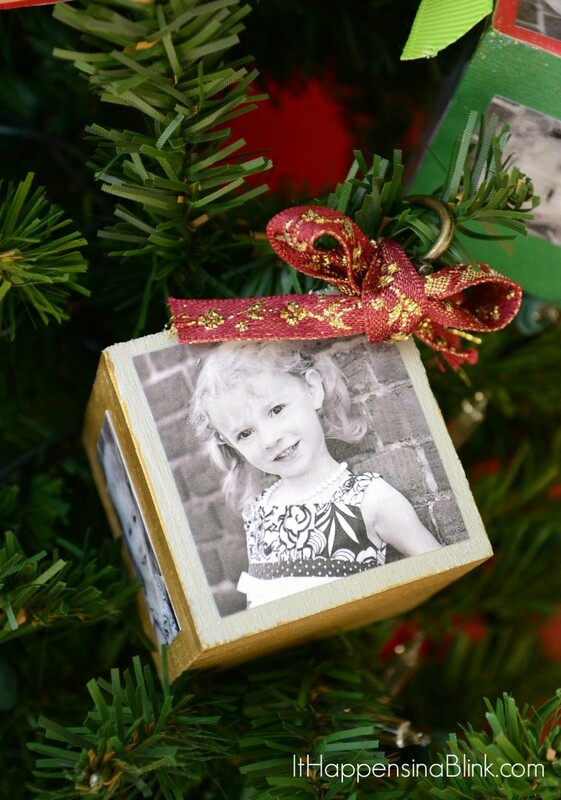 Love the ornaments, Melanie! I think I like the scrapbook paper one the best – lots of color! Super job! This is seriously SO ADORABLE, Melanie!! I love these, great work! 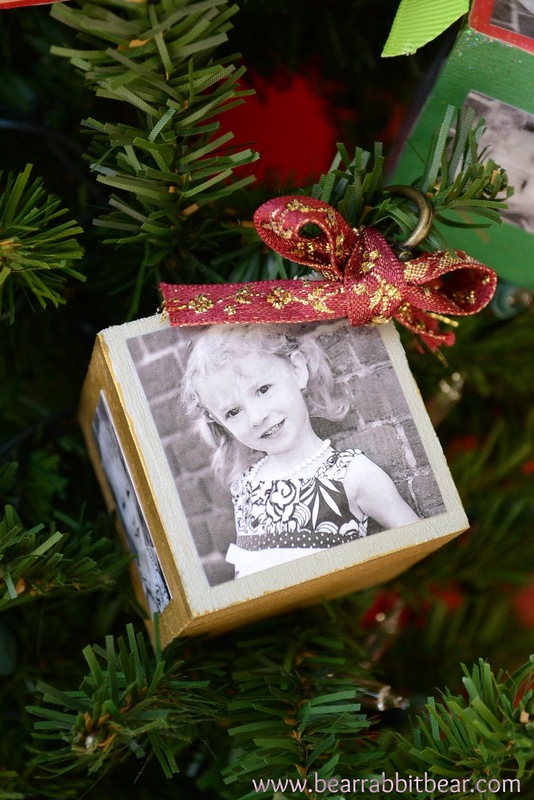 I love these, and what a great gift idea! Thanks for sharing! These look great! I like the idea for a hook on the corner. Thanks for this! Great gift for the children to give, and so simple. Reminds me of those photo cubes from the 70s. Visiting from One Project at a Time! These are wonderful! It would be fun to make these every couple of years so you can see how the kids grow. These are so gorgeous, Melanie! Love the photos you used and the gold and silver especially. What a great gift for family members! 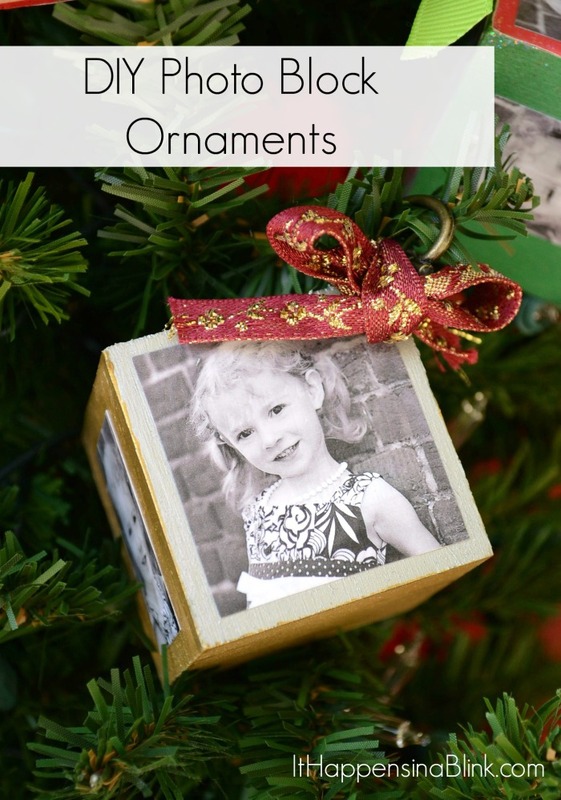 This is such a great idea and would be a great gift for grandparents and aunts and uncles!! So cute!! Love this idea. You did a wonderful job! Such a great idea!! It would be a perfect gift for grandparents too! Your little one is such a cutie! That’s such a clever and sweet idea. Love it! I love them Melanie!! You did a fantastic job!! I used to do this when I was a teenager. I didn’t know people still did it. Love the ornament. Will have to get my grandkids doing this. These are awesome!! Great job!! I love the idea, how neat and fun! I will have to “try” to make them as good as you! These are stunning! I really like how you showed each step. This turned out so great, I love it, and your prictures are great! I’ve been looking for something just like this for a similar idea I had. I wasn’t sure how to use Mod Podge, so thank you! these are adorable! i made these when i was little. This is a perfect craft for me to do this weekend with the kids i babysit. 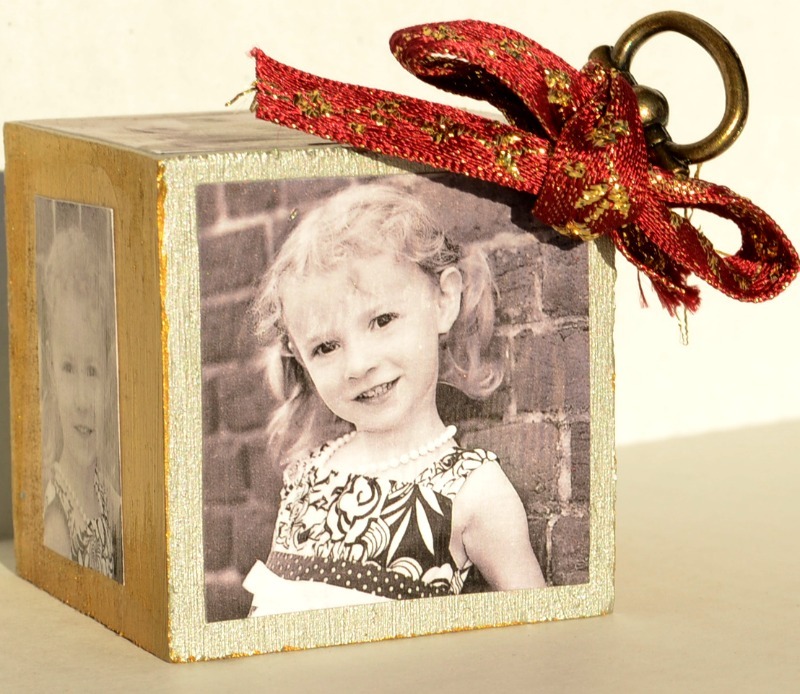 What parent wouldn’t love a homemade gift from their child that they will be able to keep forever. Make sure to store them somewhere safe! What a cute craft! I absolutely love it! aaaawww that is so cute! I love the idea of how personalized it is… got to love mode podge! I love it for my crafts too! amazing job it does! This is a great idea! My friend just asked me about what to do with the kiddos’ drawings, and I figure she can make these with the drawings instead of the pictures too. Gonna pass it on! Those are terrific- I love how they look a bit vintage- that classic Christmas look. Stopping by from mom on a time out hop- if you’d like check out my blog and hop. I love this idea! I wanted to let you know that I featured this yesterday in my “What I Bookmarked This Week’ post – stop by and see. Pinning and featuring tonight Melanie! Thanks so much for sharing at Mom On Timeout! What a great idea and the little cutie does hurt either! I’d love to know where you found those screw eyes. I can’t find anything like that. Great job. Hi, Melissa! I found them at the hardware store. Maybe try Home Depot or Lowe’s? I was surprised at a response this long after the original post. Thanks for getting back to me. On my way to check them out. I love those. I love these! They will make perfect gifts for our parents and grandparents this Christmas. 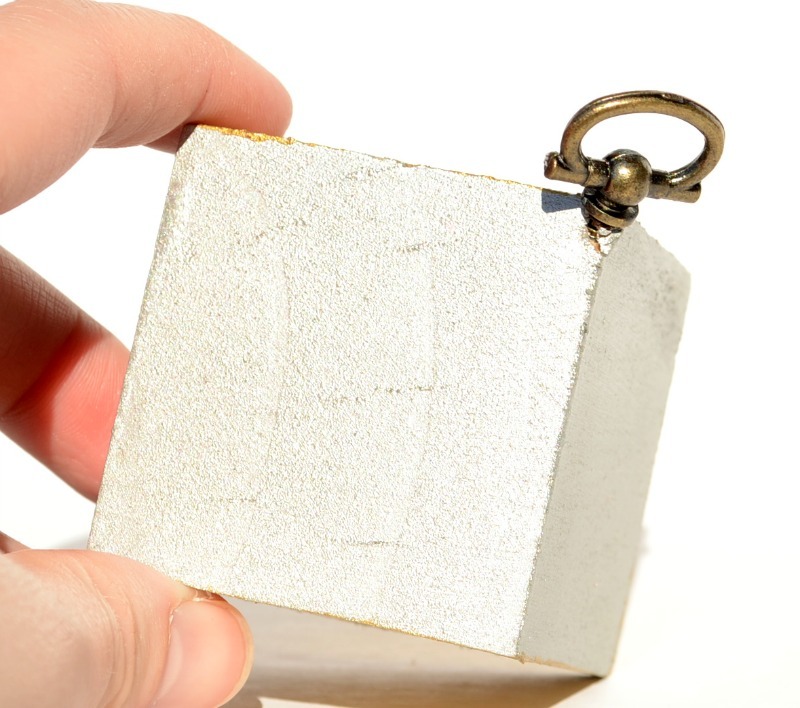 I am just wondering – what size wooden cubes did you use and where did you purchase them? I think they are about 2″ and I purchased them at AC Moore.